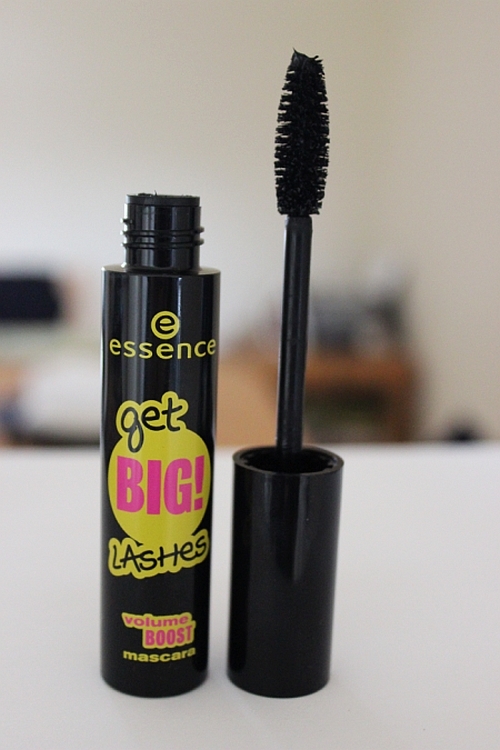 European Drugstore Beauty Brands: Essence & Catrice Haul! 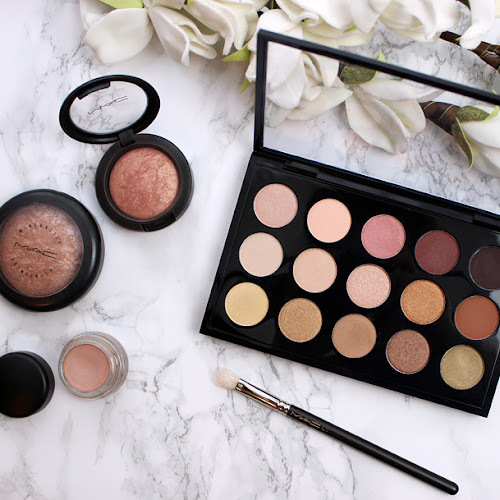 Who doesn't love affordable and good makeup? Products, that actually work and don't cost a whole fortune. Yes, I am a big fan of them too. 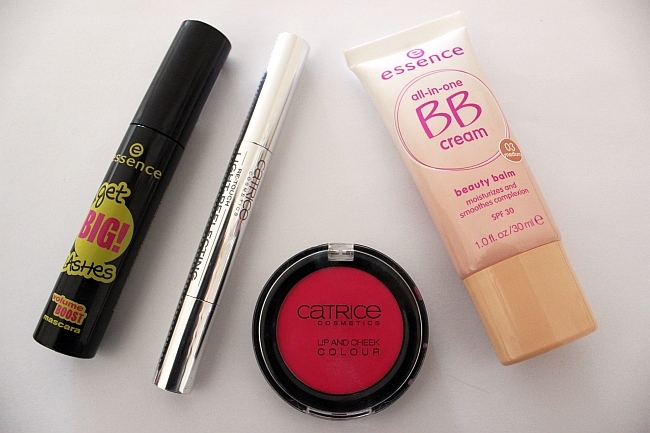 Catrice and Essence has been my favorite European beauty drugstore brands, since I first laid my eyes on them and tried few products.With Catrice I have never bought anything that I didn't like, but with a little bit cheaper Essence, I kinda have love-hate relationship, but products that I am showing today are all fab! While, I am waiting for my shipment from drugstore.com with Maybelline BB Cream, I decided to try this affordable Essence product, since it's Spring time and I wanted to switch things up a little bit and go lighter on my skin :) I wore this BB Cream today and I have to say, that I it looks and feels great on my skin. Even greater than my old Garnier BB Cream which I liked a lot, but the biggest issue I had with it was pretty bad oiliness after few hours of wearing and after that experience, I kinda stepped away from bb creams, because I thought they all will make my t-zone oily (I have combination skin). 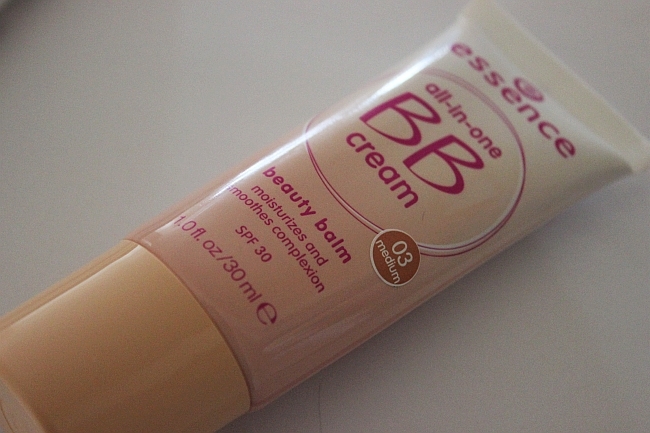 This affordable bb cream not only gives a nice coverage, but as well it doesn't feel greasy on my skin, and that is the IT thing I was looking in a good bb cream. It kept my face nicely matte almost all day (I set it with Rimmel Stay Matte powder). The shade I got is the darkest, but with my NW25/NC25 and the nature of bb cream (less pigmented than regular foundation) it fits me perfectly and if I have to be honest, I didn't really have to touch up with concealer either. 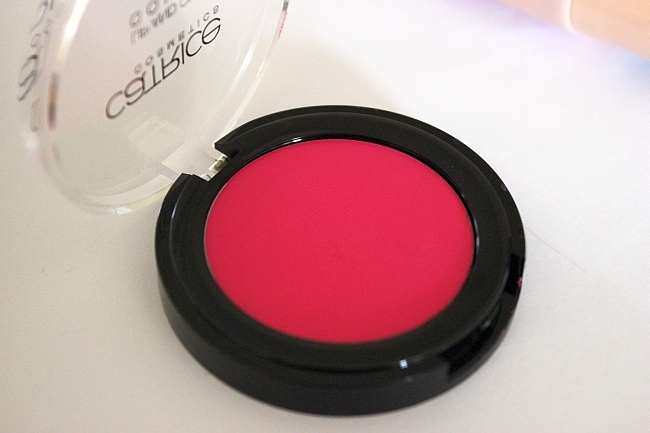 I got this item, because it was on sale and first I thought about it as a cream blush, but when I put it on my lips, I totally fell in love with the shade and how beautifully it suits my complexion and adds pop of color! 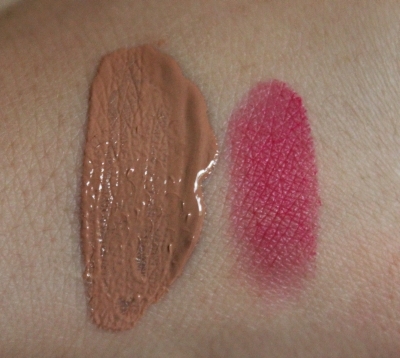 On the swatch it looks almost identical with my NYX Matte Lipstick, but on the lips NYX is slighty brighter, more neonish looking, than Catrice. 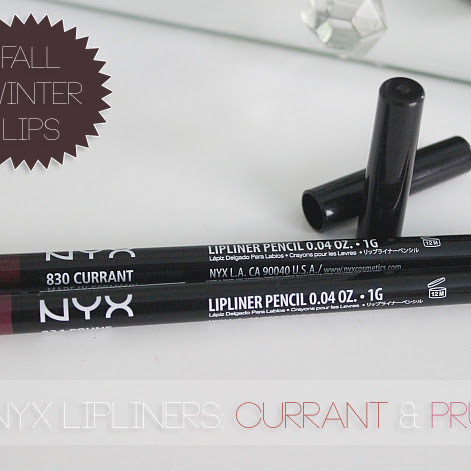 Both are gorgeous matte shades! Love it! 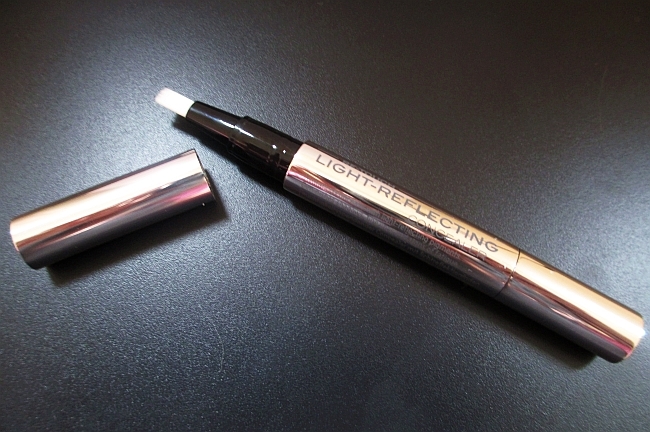 I mentioned this product few times on my blog already ( review here), because it is my #1 under eye concealer! I bought like 4 or 5 of them already, because I can not imagine my makeup without it anymore lol. It really makes a big difference. 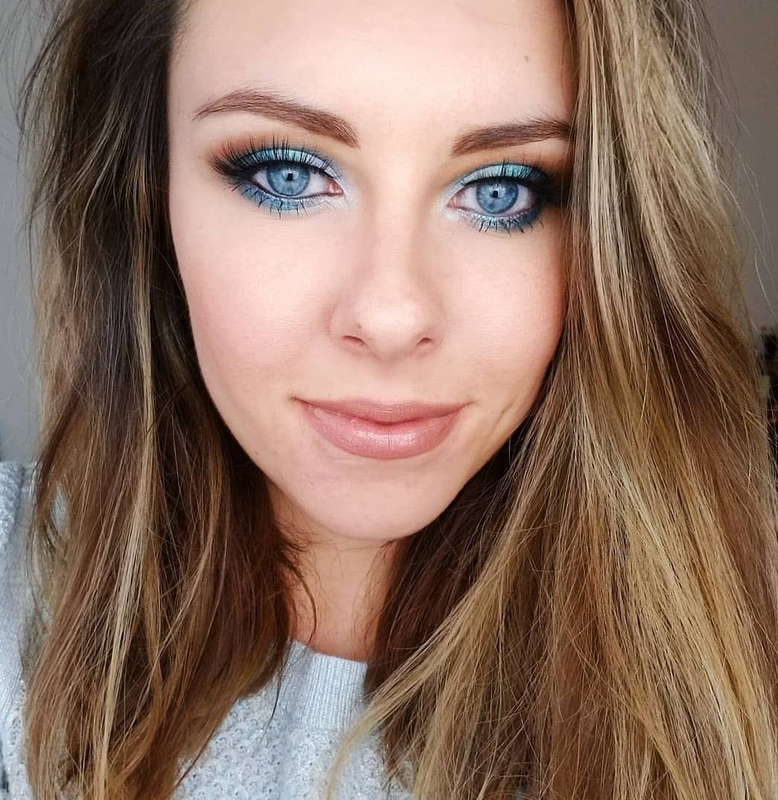 I use it as an under eye concealer, brightener and highlight. 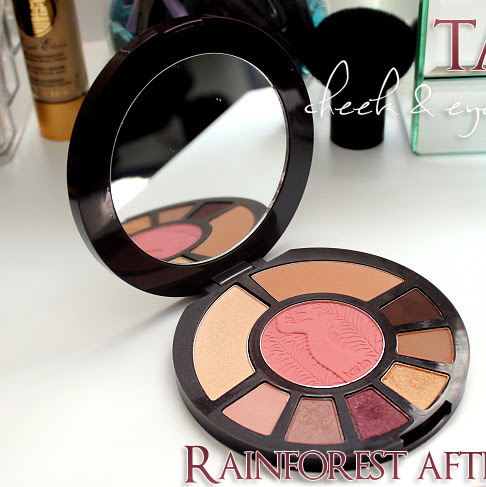 This is the perfect product to go along with bronzer to naturally contour and highlight your face. And that's it my Loves! 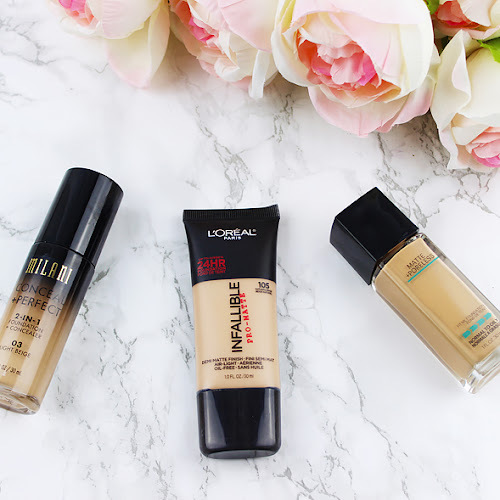 If you have a hard time finding these brands at your local drugstore, you can get them on Ebay (look for legit sellers though! ).